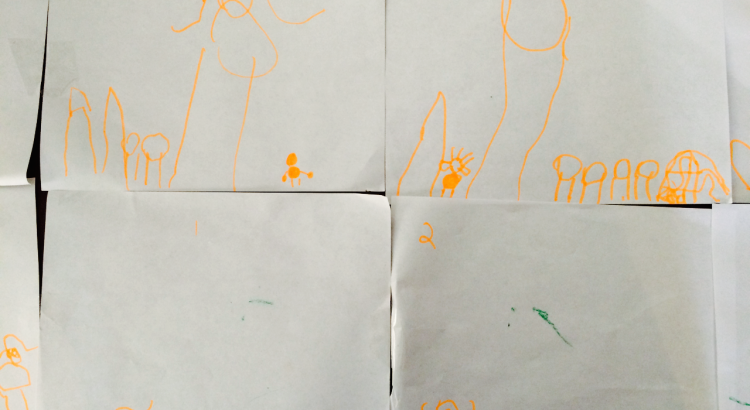 It’s been an absolute joy to write about Lucas and his drawing. Watching himself immerse into the imaginary worlds and stories that manifest on his sheets of paper has really got me to think about creativity and the type of content I want to share. In this article I’m going to explain how parents can capture children’s drawings and turn them into a simple movie using a mobile app like iMovie. There was no soccer on Saturday morning so I found myself out of my weekly routine. I’d suggested to Lucas that we make one of our father and dad YouTube shows, he declined my offer in favor of drawing, but said after he’s finished we can make a movie. While I waited for the Prince to fit me into his busy schedule I decided to play with Liam (yes on this occasion he was my second choice – second child syndrome is real!). After 15 minutes, Lucas shouted for me to come into the kitchen so he could tell me about the story he’d ‘drawed’. When I arrived I was expecting to see another book stabled together, and another 100 trees wasted, but instead I was pleasantly surprised to see, what looked like, a storyboard sequenced together on the dinning room table. My mind immediately said ‘movie’, so I grabbed my iPhone and, with his permission, began filming 8-second segments of each sheet of paper (or shot). Once I completed the filming, I opened the iMovie app and started to import the short segments into the application. I had no idea how this would turn out, but was intrigued as iMovie has some cool new features. I inserted the clips into the timeline and once they were sequenced together in the right order I asked Lucas to narrate his story – which he did happily. After that was completed (probably the best part), I polished the piece a little more by making sure the images were sequenced correctly to the narration. (made sure the words correlated to the image displayed). After the polishing I added a soundtrack and a filter and hit share on Facebook. I was really surprised and happy with the outcome, the whole activity probably took 5-10 minutes and now we have documented a wonderful moment in Lucas’s development. I’m hoping some of you might want to replicate the experience so I’ve offered five simple tips to make it an easy process. Please be sure to post on our Facebook page or share in the comments below. Avoid vertical phone syndrome by holding the device horizontally. This is a practice you want to get in the habit of doing if the videos will be displayed on a computer or television screen. Keep it short and sweat. There’s rarely a need to record a segment longer than 8-12 seconds. It’s a movie, so you need to make sure the images ‘move’. This basically means move into the image so it gets closer or start close and move out. Alternatively you can move across an image, but whatever you choose make sure it’s slow and steady unless you’re going for a specific effect. Don’t over complicate the narration – simply ask your little one to tell you his or her story. If they pause, mess up, etc.. don’t worry you can edit it out afterwards. It’s better for them to be spontaneous then doing multiple takes. One of the new and cool features in iMovie is the ability to separate the audio from the video. This allows you to delete the audio so that only your narration will be heard on the final product. If this is too complicated or the feature is not available on your app just make sure the room is quite when you record the images so that you avoid any unwanted sound. Lengthen or shorten clips in the timeline to help sync the narration with the relevant images. This is probably the most ‘technical’ aspect of the project but will bring about the best results. Finally, add a soundtrack that provokes a sentimental feeling, but represents the energy and excitement of young children. Avoid anything that is too emotional and corny. It might work for you, but it will probably be too much for others. Matt, This is so GREAT! Nolan makes videos all the time and I love the idea of using his drawings. Especially the ones he draws of the Titanic (I know what 5 year old likes the Titanic). 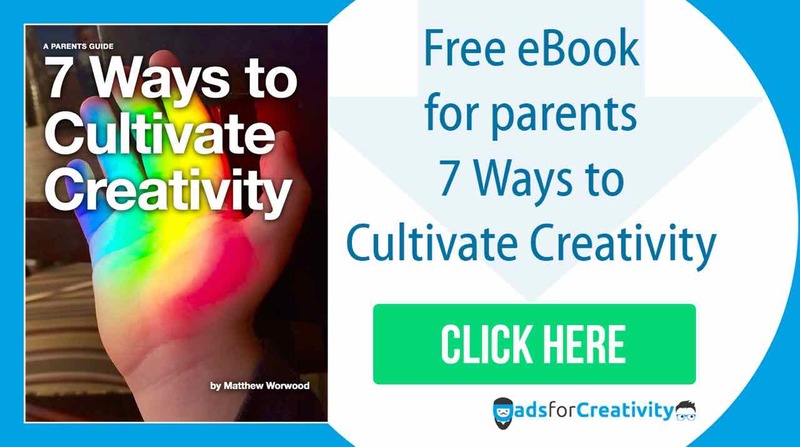 That’s great Kate, and thanks for posting on DadsforCreativity. 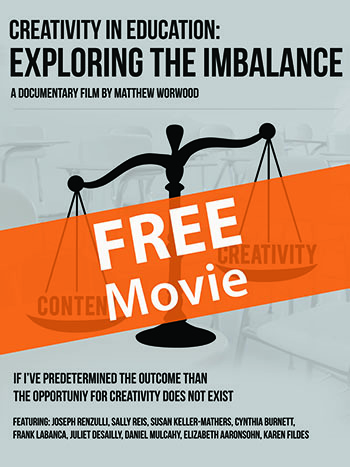 I’ll be sure to share information on how you can access the film, Creativity in Education: Exploring the Imbalance. ! Make sure you share some of Nolan’s films on Facebook.